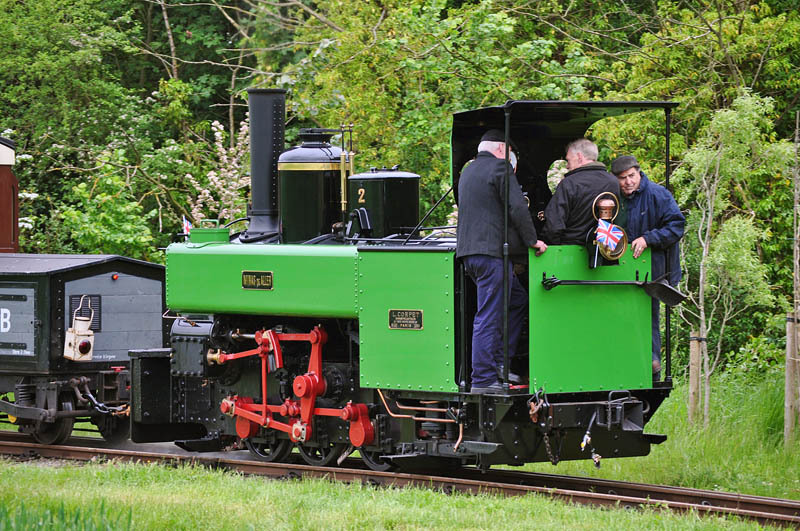 In March last year, a most unusual steam locomotive was parked on blocks beside the turntable at the Statfold Barn Railway. It had clearly been out of use for some time. Bearing a “Minas de Aller” plate on the (pannier?) 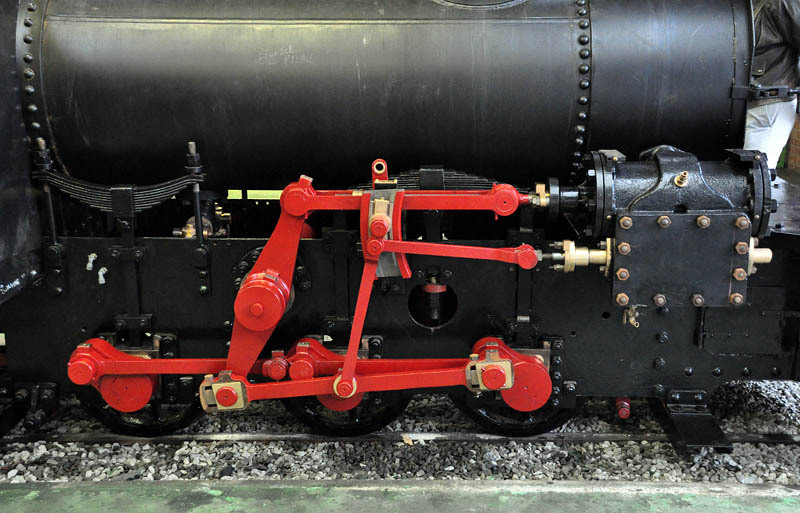 tank, and a Corpet, Paris, worksplate (439 of 1884), its horizontal cylinders were mounted much higher than is usual, connecting to the wheels by a substantial rocking lever. A little research reveals that this is an example of “Brown’s indirect motion”. Quite! 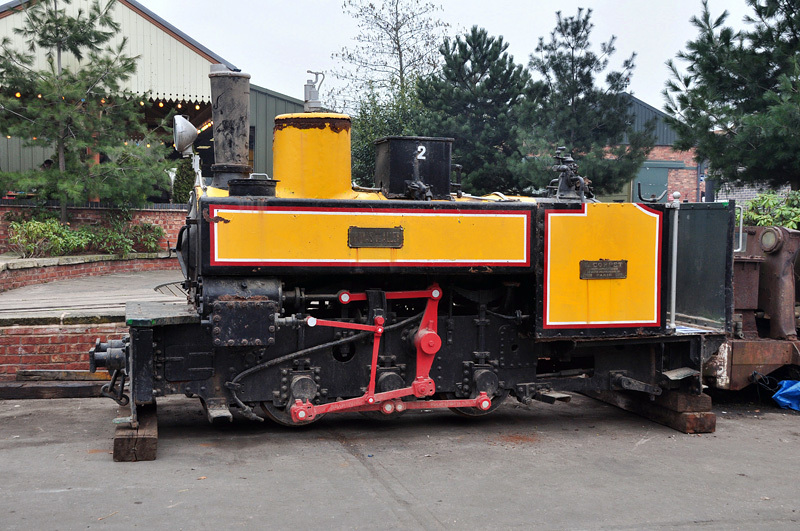 It was still there in June last year (in the company of newly-arrived Avonside “Marchlyn”) – but when I visited in March this year, it was in one of the sheds beside the turntable – and had obviously undergone much tlc. Painted a plain black, and lacking its tanks, it was obviously not yet ready for use – perhaps in June? – Yes – as we walked out towards the fields, there it was, Graham Lee at the controls, looking (as ever with Statfold rebuilds) like a brand new engine, Brown’s indirect motion a delight to see in action. Wonderful stuff! A “Rail Diaries” entry will follow – eventually. When I’ve finished the Baie de Somme page, and the Froissy – Cappy – Dompierre page, and one or two other little jobs, that is. In the meantime, here are the before and after shots of that strange machine.